Sarasota, FL, January 26, 2017 --(PR.com)-- Keller Williams On The Water Sarasota and other local Keller Williams offices are proud to host over 150 homes open for their Paint The Town Red event on Sunday, January 29th from 1-4 pm. These magnificent homes, in all different price ranges, are located throughout the Sarasota, Manatee, and Charlotte counties giving our community an opportunity to view the immaculate homes along the Gulf Coast. Keller Williams Realty is committed to showcasing our area homes; reminding both residents and visitors of why so many us call this area home! This event will be held once a month in January, February, and March. Please contact your local Keller Williams Realty neighborhood expert agent for details on the homes or visit your local Keller Williams offices in Bradenton, Sarasota, Lakewood Ranch, Englewood, and Venice. 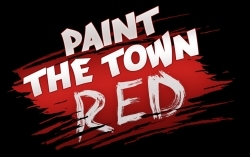 You can also visit the event Facebook page at Paint The Town Red SW Florida.